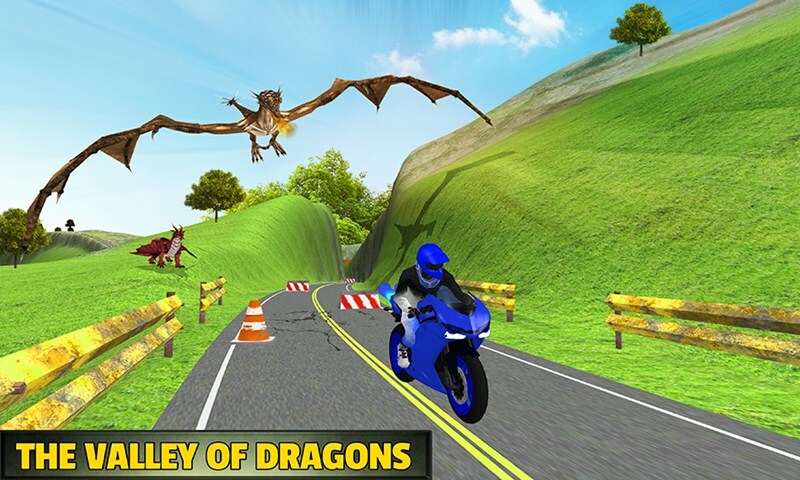 Welcome to the valley of dragons in Bike Racing Dragon Adventure game, drive your motorbike in challenging conditions. Beware from the flying dragon that hate the bike noise. 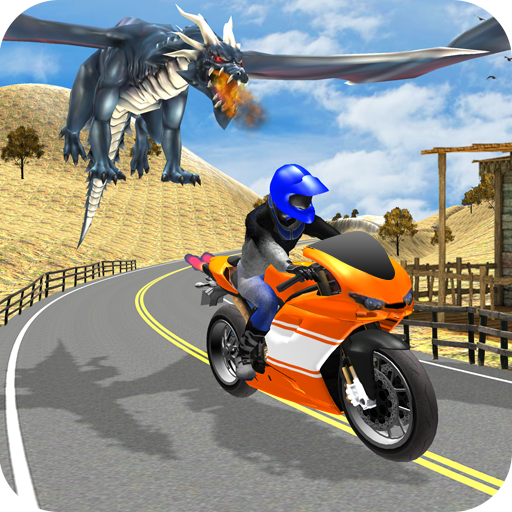 The dangerous dragon follows your bike and destroy your luxury sports bike. Don’t let yourself to catch by the fly dragon. This jungle race against the flying dragon will give you the breathtaking feeling. Show your incredible bike racing skills and win the adventure race. 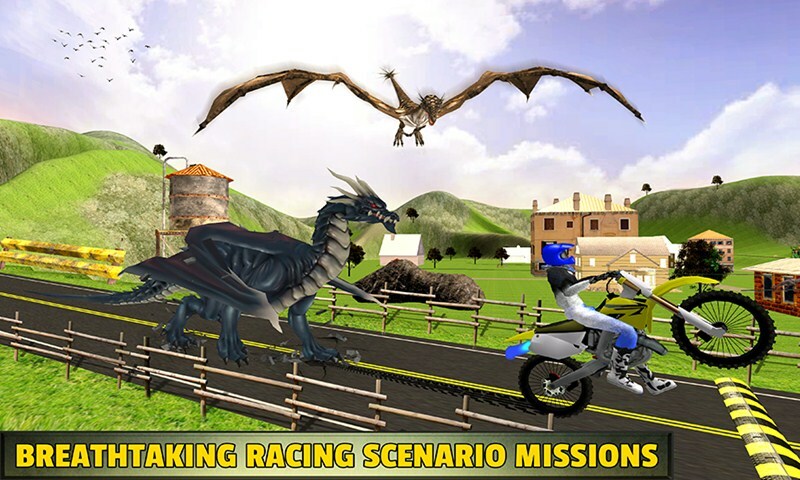 Bike Racing Dragon Adventure simulation contains the action racing missions for the dragon games and adventure racing games lovers. Epic breeds of dragons like, wyvern dragon, dark dragon, and chaos dragons will follow your motorbike to destroy as a rival. 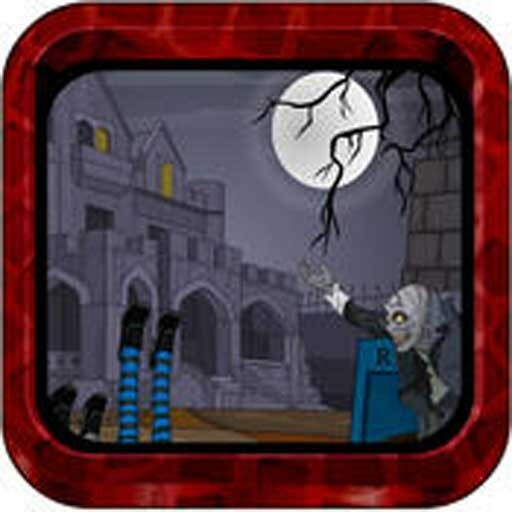 Pass through the all check points to complete the interesting dragon chasing levels. Use nitro speed for your heavy bikes to move faster from the dragon claws. 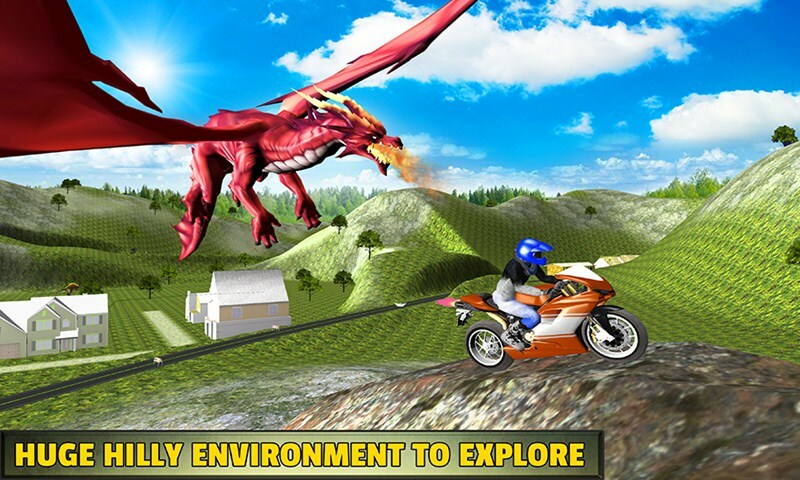 Introducing the Bike Racing Dragon Adventure simulation that contains the interesting game play of jungle bike racing against the deadly dragon. Choose your favorite bike racer boy with latest heavy-bikes to play the racing game. 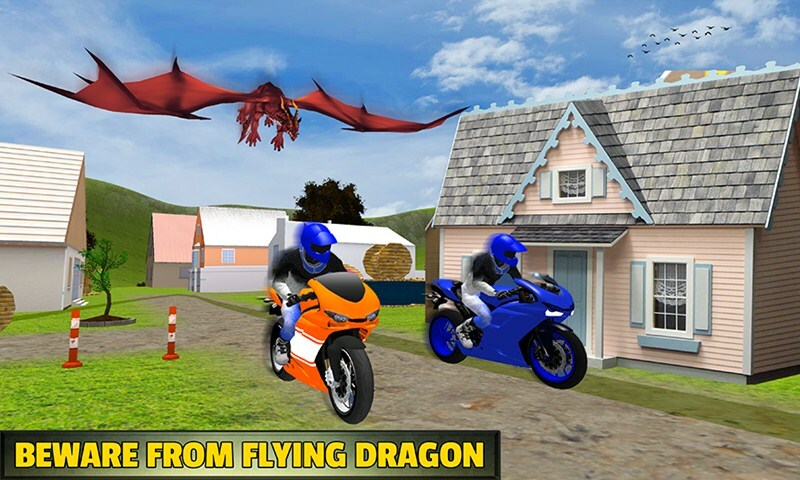 Escape from the flying dragon who is following your heavy bike to destroy. Pass your heavy-bike through all check points than move towards the finishing point to complete the bike racing mission. The game play is not easy, it become more challenging when your heavy-bike bump with the hurdles like, road cones, tress, road blocks and your bike stop suddenly. Use the nitro power to speed up your motorbike, stunt on the ramps and don’t lose your bike controls while driving over the speed breakers etc. Fabulous forest mountain environment and eye-catching houses near the dangerous road made this game attractive. Try to complete all missions within time without catching by the ugly dragon. 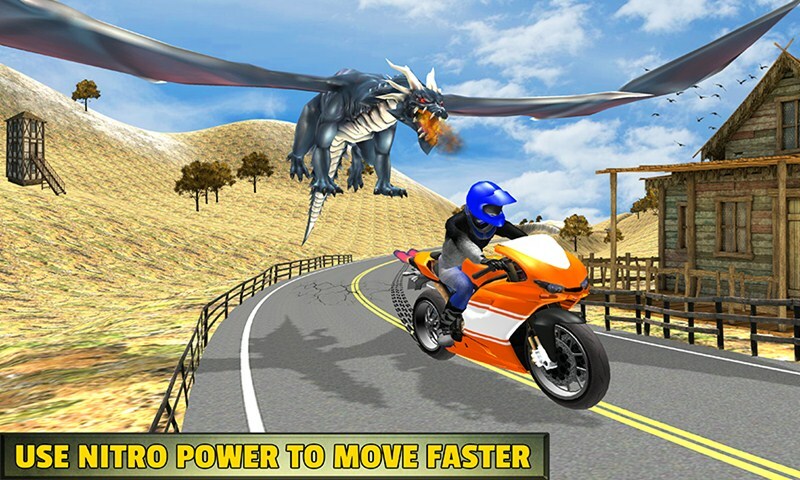 Easily unlock the new heavy bikes by making more score in Bike Racing Dragon Adventure game.